Hello! 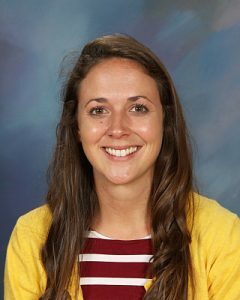 My name is Lauren Scrivener and I am very excited to be teaching here at New Vistas School! This is my second year at New Vistas, but my first year as a teacher. I worked as an aid last year while I finished my degree in elementary education. I began classes in pursuit of a master’s degree in special education in January of 2018. I will be teaching Language Arts and English to 6th, 7th, 8th, and 9th grade students. I am thrilled to be here and look forward to learning about each of my students. Ironically, we are here to teach our students, but they sure are teaching me so much. I am looking forward to a challenging and rewarding year full of fun and diverse learning!